When shopping for a right 3D printer filament we need to take into account a lot of different features of materials. Our today talk will go in direction of various filament types and its characteristics. First thing you need to know before starting the search is a diameter of filament that uses your 3D printer. 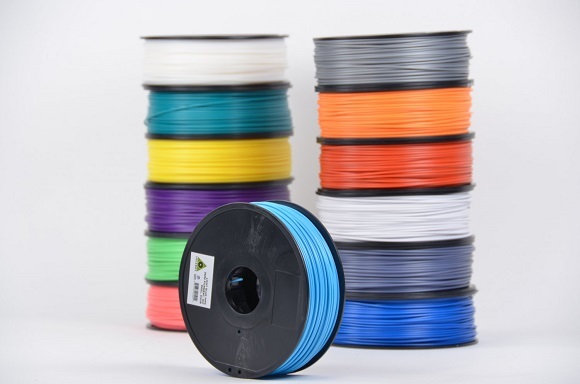 The most common 3d printer filament diameters for printers are 1.75 mm and 3.00 mm. Each model of printer is designed to work with one diameter only so please see documentation before ordering. 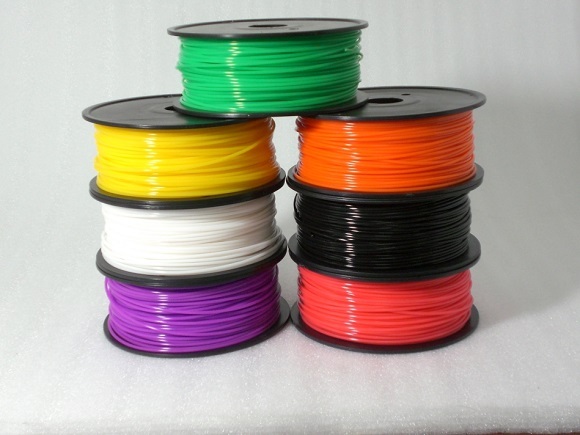 There are also other printers that use filaments with diameters other than 1.75 and 3.00. Again, it’s better to check with documentations and forums and look for a material with exact diameter value. 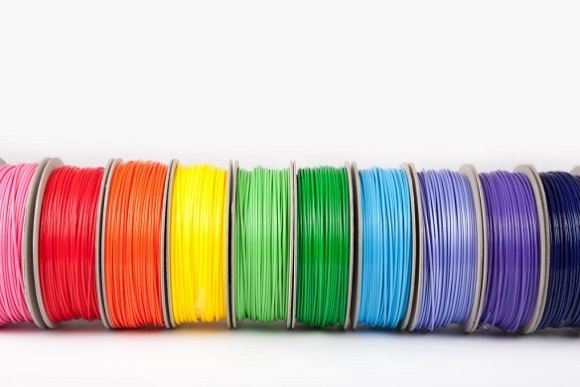 The next step in filament dilemma is to choose the right for you filament type. There are a big variety of them that can be found at the market. Some of them have similar characteristics, the other varies from each other. At this article we are going to discuss the three most well-known filament types: ABS, PLA and PVA. ABS is very long-lasting and strong material, usually slightly flexible and relatively resistant to heat. Printers able to process ABS plastics normally require heated bed and extrude at a temperature around 225°C. ABS 3d printer filaments are considered to be the cheapest and most popular among 3D printing community. This material is suitable to the big variety of purposes but also it’s a petroleum-based non-biodegradable plastic with quite fumes produced during printing. So printers need to be placed in a good ventilated room or area. PLA in contrary is a biodegradable thermoplastic that is derived from renewable resources, which makes it more environmentally friendly among others plastic materials like ABS and PVA. The other great feature of PLA is its biocompatibility with human body. It does not leave any adverse effects when put in close contact with human body. This allows to use this filament for wide use in medical industry. It also significantly more shatterproof and flexible than the others. This type of plastic becomes soft around 50°C, which is considered to be a disadvantage of PLA filament type. The third by popularity material is PVA (Polyvinyl Alcohol). It used in printers with multiple-extruders to provide support structure to objects that do not have any layers below it. After the object is finally printed it can be put in the water until PVA structure is completely dissolved in water. Drawback of this material type usage is special requirements of storage conditions, difficult sourcing and relatively high price. The other good feature to know before purchase is Filament Grade. The same material can come in different grades. There are several grades such as 4043D and 2003D for PLA and PA-747 for ABS that are considered to be the standards of material that was adopted by 3D Printing Community. The filaments with named grades are good to use for new comers to 3D Printing Area. So make sure to select a material from a supplier that specify the grade they sell. Good advice can also be is to buy material of mentioned earlier grades. Another factor to think about is Printing Conditions of filament. If your printer operates in bad-ventilated room or temperature of air is relatively low like in basement or shop during winter, then possibly it would be better to switch to PLA material. In cold environment there are much more probability to get cracked or warped ABS object then PLA one. Color selection is very wide from type to type. Natural or transparent colors tend to be cheaper that other as they don’t have pigment expense included. Colors can be translucent or transparent. It’s also important to keep in mind that it’s easier to caliber your settings at printer when using colored filament, not transparent one. The rest is just a meter of color preference. Packaging varies from different suppliers. Material can come in spools and coils. 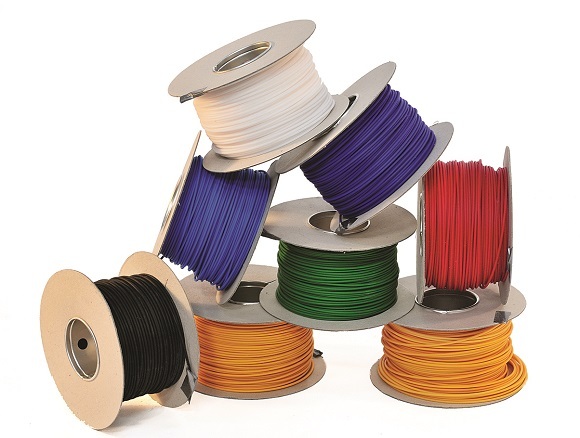 Spools are easier to work with but they have more weight that affects shipping and total cost. 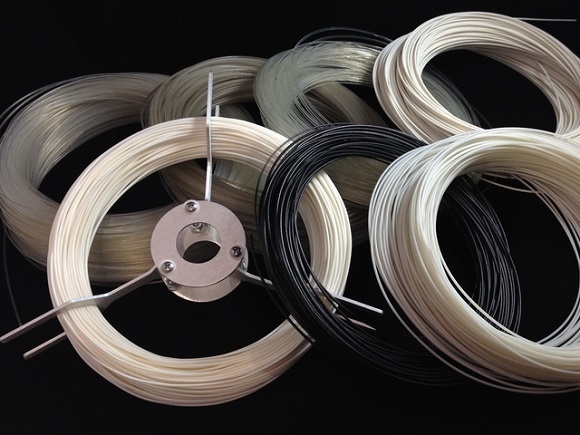 Coils are cheaper and more practical for smaller quantities of plastic filament. Also please keep in mind that when you use filaments from different suppliers you would probably need to recalibrate your 3D printer each time you switch materials. Although it’s not necessary a difficult process but it can be a time-consuming at the same time. Generally speaking there are a lot of 3d printing materials to use in your projects. It’s important to learn about its features in advance before purchase. The team of 3DPrintingFromScrach will continue to tell more about other 3d printer filament types and its features. I’ve been really curious about 3d printing services since they came out a few years ago, and I think that it would be really cool to be able to use them for something! I have a friend who was talking to me about all the different kinds of things that could potentially be made using 3d printing services,and it got me excited about it all. If I do use some 3d printing service in the future, I’d like to be able to use the PLA filament that you talked about because its biodegradable, and I love being environmentally friendly! I’m going to have to look into trying to have something 3d printed and using some of that PLA filament!